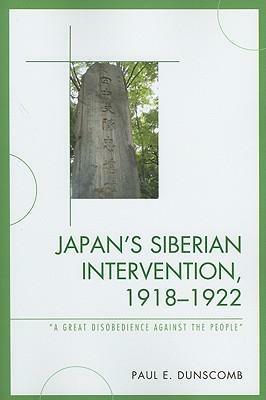 The first complete narrative of Japan's Siberian Intervention in either Japanese or English placing the intervention in the context of the evolution of Japanese imperialism and of its domestic politics. It represents a missing link in the larger narrative of Japan's quest for modernity through empire and the ambivalent relationship of the Japanese with their imperial mission. Paul E. Dunscomb is associate professor of history at the University of Alaska, Anchorage.